Capt. Jason Holtz of the MARLIN MAGIC raised this monster fish for newlyweds Jill and John Anderson. 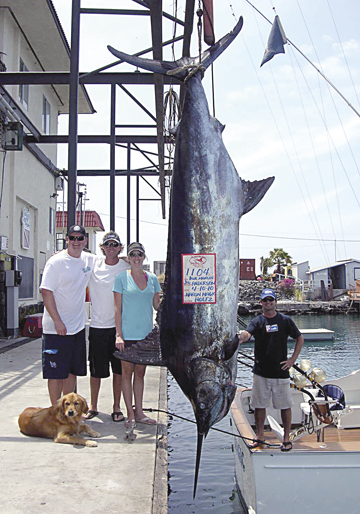 The 1104-lb blue ate a Marlin Magic bullet lure and put crewman Bryon Toney's leadering skills to the test.